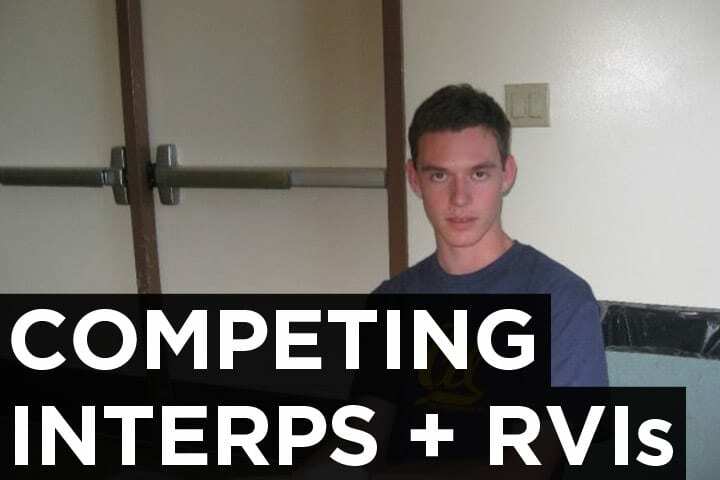 Before judging Octas at Valley, a debater asked the panel the following question: “Do you believe that competing interps implies an RVI?” To my surprise, the rest of the panel said yes. I think the rest of the panel was deeply confused about theory debates. It is incredibly obvious that competing interps does not “imply” an RVI, at least as RVI’s are traditionally understood in LD debate. However, it is also true that competing interps should imply that you vote for the debater with the better interpretation—just not because of an RVI. Unfortunately, I have never heard an adequate warrant for competing interps that would justify this strong conclusion. All theory debates are about our interpretations of theoretical issues, which must be made explicit by both sides. What you vote against is a bad interpretation, not the abuse that lies under that interpretation per se. We evaluate interpretations based upon their comparative effects on the debate activity as a whole, which can include questions of potential abuse, actual abuse, and the precision of the interpretation’s wording. Under competing interps, as normally conceived, you should vote for the debater that has the better interp. It is irrelevant if the debater who read the interp or the debater who read the counter-interp is ahead on the debate—you may vote for either. Clearly, however, this is not because you are voting on an RVI. An RVI is itself a theory argument which claims that other (false) theory arguments are unfair. It would be incoherent for a debater winning competing interps to claim that it “implies” an RVI, but not read a specific RVI interpretation with reasons to prefer. Unfortunately, this is exactly what I see people do. Second, as I suggested above, if one debater wins competing interps, then the reason you vote on the better interpretation has nothing to do with an RVI. However, why should we think such a radical claim about the theory debate is true? Most warrants for competing interps are woefully inadequate. Generally speaking, I hear a one-sentence blip about “judge intervention” or about “discouraging abusive behavior.” These arguments are nowhere near developed enough to imply that I should vote on what is essentially a discourse argument, about out-of-round impacts of picking a theory interpretation. Judges used to accept discourse arguments based on the one sentence blip “We are humans before we are debaters”, but fortunately, the activity has matured. Now, discourse arguments now need cards and in-depth analysis. Theory debates ought to mature as well. The claim that you should vote on the interpretation that is “better for debate” deserves actual analysis and argumentation. Merely arguing that “reasonability” (whatever that means) invites “judge intervention” does not imply that the judge’s role is instead to assess which norms are best for the activity as a whole.